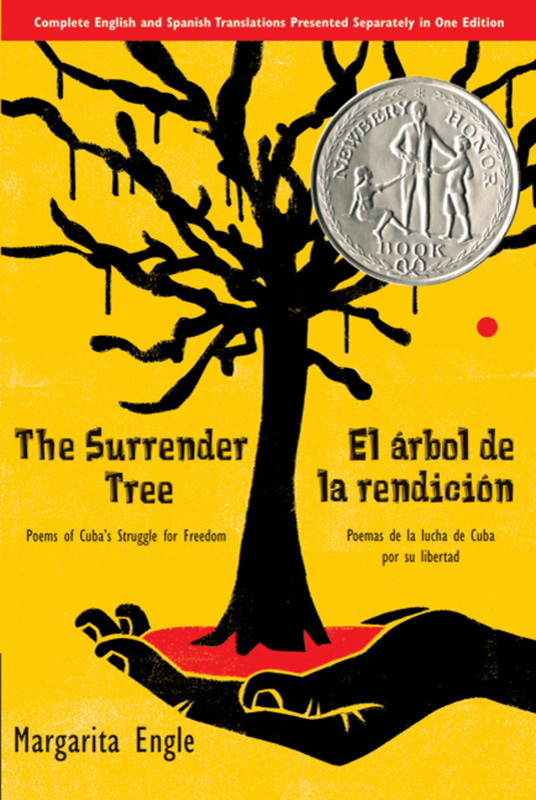 The Surrender Tree is a novel about Cuba’s struggle against Spain for freedom. Told from the view of several people, mainly from Rosa, a nurse, this novel will captivate you and force you to see the plight of the slaves of Cuba. The poetry is free verse, meaning, it doesn’t rhyme. And although it lacks a metered rhyme, you can still feel the beat of the story. When reading this, especially out loud, it is important to remember to include the punctuation. That is how you know the rhythm. Beautiful prose poetry strung together to tell a compelling and captivating story, Engle forces you to look at the world outside your own. She makes you realize that slavery is not unique to your country, but was and still is a world wide catastrophe. Her second strongest point is telling the story through other people. We don’t just see what it’s like for Rosa and Silvia and any of the others fighting this war, but we also see views from Spain or from people like Lieutenant Death, whose job as a slave catcher depends on having slaves. I thought that was very well done. Not everything is black and white. Not everyone is good or evil. Even evil people have reasons for doing the things they do. Are those who fought for Spain not as justified in their war as those who fought for Cuba? It gives you something to think about. She generates a lot of empathy, but not just for the Cubans. This books was absolutely marvelous. I would recommend this book highly to any Jr. High or High School class.